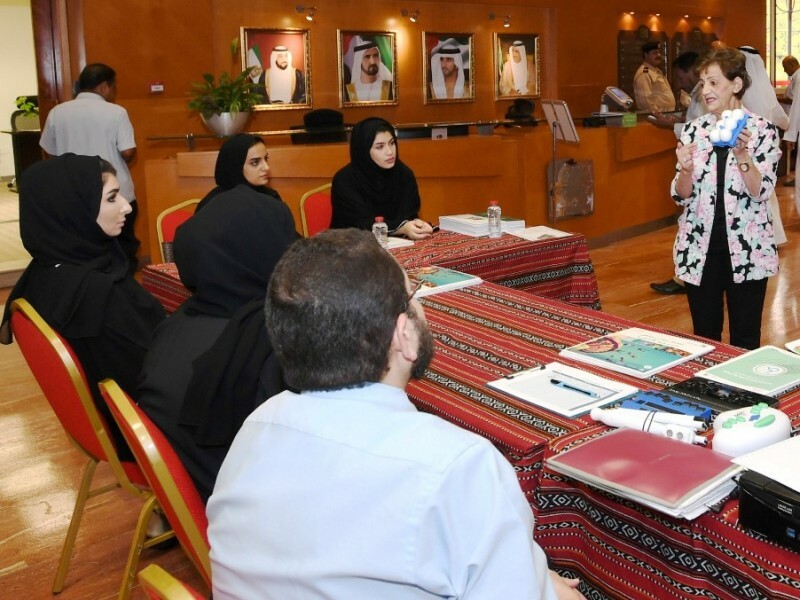 DUBAI, 11th January, 2018 (WAM) -- Dubai Municipality, DM, recently organised an educational workshop for its employees and visitors on how to write in Braille, in response to the government's directives, and in support of the community-based initiative, "My Community is a place for all." The initiative aims to transform Dubai into a friendly emirate for the People of Determination by 2020. The event was organised to mark the World Braille Day, which is celebrated worldwide on 4th January, the birthday of Louis Braille, who invented Braille writing for enabling the visually impaired People of Determination to communicate with others. Ahmed Mohammed AbdulKarim, Assistant Director-General for General Support Sector and Head of the Team for People of Determination in DM, said that organising such an awareness workshop is a continuation of the many roles played by the municipality over the past years as it believes in the importance of supporting the People of Determination. The workshop, attended by Hala Bana, a visual disability specialist, included teaching the audience how to write and read Braille. She also presented the latest facilitative equipment to help the visually impaired.